If you are planning an African adventure or safari, there are vaccinations for Kenya travelers that you will need in order to travel safely. East Africa is breathtaking with its incredibly serene landscapes, the diverse wildlife and the beauty of the culture and people. There is simply nothing else like it. With your flight booked and your itinerary set, the next step is to consult your doctor. Speak with your doctor at least 6 weeks prior to your trip departure to allow time for you to schedule and receive the required vaccinations. We travel to many places in Africa, however Kenya is home to many of our tour destinations such as the Maasai Mara, Tsavo National Parks, DSWT facilities, and Amboseli National Park. The great thing about Kenya is that it borders Tanzania, which is another hot spot for a Capture Africa Tours safari. As we share vaccination information for Kenya, please note that many of the immunizations are the same for both countries. Although they share similar requirements, it is important that you are getting the right vaccines for your specific trip. 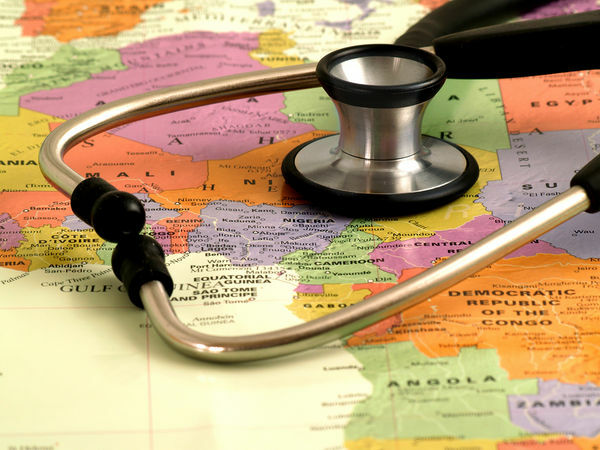 With most travel, there are health risks that we as travelers take but hope to never face. When our bodies are given a vaccine, we are prepping it to be able to quickly recognize that disease. This is so that our internal defense system can be ready for a fight if we come in contact with it. Safeguard yourself from potential disease by providing your body with the best defense it can get. Not to mention… can you imagine being sick on safari and missing out on the magic of Africa? What Vaccinations are needed for those traveling to Kenya? We travel all over Africa but frequently visit Kenya. So, we are sharing some of the CDC’s required & recommended vaccines for those traveling to Kenya. *We are NOT doctors and are only offering suggestions and basic information. Consult with a doctor at least 6 weeks prior to your trip departure. Find out what vaccinations are right for you based on your specific travel plans! We hope this information aids you in your planning process so that you can GET TO AFRICA! « Is this charity legitimate? What a small price to pay for a healthy and safe journey! Great info, thanks! Thank you for your telling your story about your sitution and happy to know that the natural herbs you took helped you. Our company will have to do some more investigation into what the Best Health Herbal Center has to offer.